A new month, a new Keto Krate! There were some brand new products in this month’s box that I haven’t tried before, and even one that I was planning on purchasing myself. Here’s a breakdown of the things I recieved! I haven’t had this specific brand before, but I’m a sucker for cheese chips! I’ll probably make these into a quick lunch with a dip… guacamole anyone? 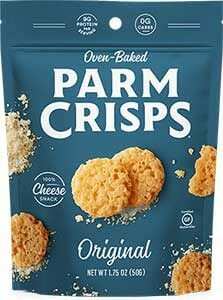 You can order the Parm Crisps on Amazon. 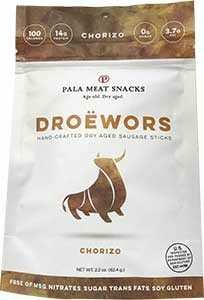 Need some crackers to spruce up your charcuterie board? Curt’s are an easy option to grab. Full of fiber, too. You can order the Flax Crackers on Amazon. 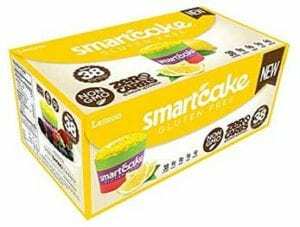 I was so thrilled to see the brand new Lemon Smart Cakes in the box. I had been planning to purchase these after seeing an IG friend review them. They did not disappoint! They sent a package with two of the cakes, which I quickly devoured. You can order these on Amazon. I was really excited to find these in the box. In the past, I’ve had this flavor, as well as the Habanero BBQ. Both are excellent. This brand is particularly delicious — the nuts themselves are light, buttery and delicious. 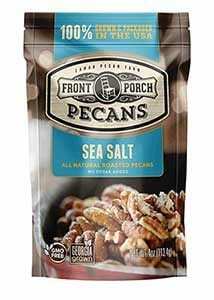 That’s coming from someone who isn’t a big pecan fan, either! You can pick these up on Amazon, as well! These are intriguing. The ingredients are clean and they’re actually cased with lamb skin. Something exotic for sure! I’ve also never seen a chorizo style beef stick, so this will be a first for me. I’m a big fan of this company’s chocolate hazelnut spread. I literally eat it by the spoonful (and sometimes with my finger!). 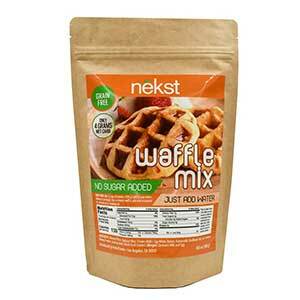 I’m excited to try these waffles and maybe combine the two. Sounds like a match made in heaven! That’s it for this month’s krate! 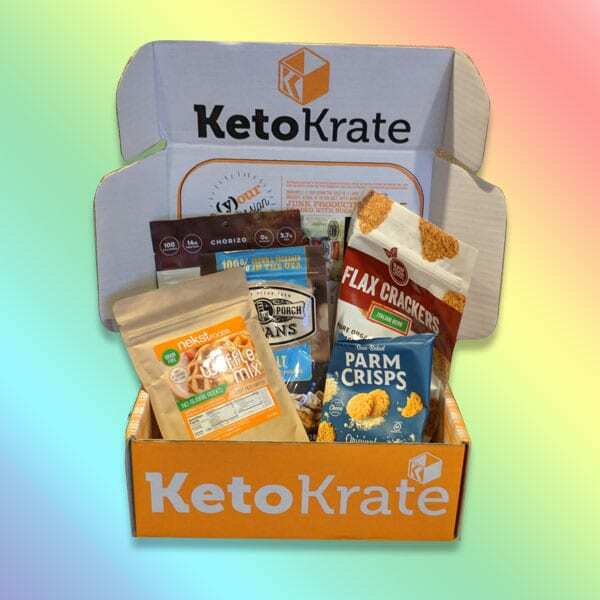 If you’d like to get your own Keto Krate sent to your doorstep every month, sign up on their website. It’s so fun!